Are you wasting hundreds if not thousands in travel dollars? Are you maximizing points and award programs to travel the world at the low costs possible? Are you frustrated with collecting award points only to discover they do not apply to your travel plans? Take advantage of our award booking services to learn the best credit cards and award programs catered to your specific travel needs. You will more then make back any investment with us to ensure that you get every dime due to you for your loyalty to travel and award programs. We know how extraordinarily frustrating and time consuming it can be to find and book airline award tickets. Why not let SFO777 and his associates do it for you? We aren't travel agents, just experienced travelers that have flown millions of miles on thousands of flights all over the world. We know which airlines will provide you with the best experience to and from any destination, and save you money at the same time. 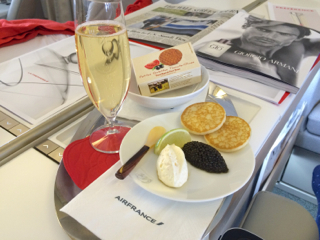 Having booked hundreds of premium award tickets on dozens of airlines, SFO777 knows how to do it. Indeed, most of the air travel featured in SFO777 trip reports were booked using miles. SFO777 understands the ins and outs of most airline and credit card programs... the best deals, the best mileage transfer programs, the best redemption program for your itinerary, when to book, when to buy miles, when to buy a ticket instead of using miles, how to avoid surcharges and more. We can usually find First or Business Class seats when airlines can't or won't. Just tell us when and where you want to go. We'll do the research and report back to you available award options. This will include a review of pricing options including mileage, taxes and airline fees as well as an objective assessment of the best routes and airlines for your itinerary. There is no obligation unless we can meet your airline and award travel parameters. If you wish, we'll assist you with transferring and buying extra points and miles (if necessary), and booking flights directly with the airline. After the flights are booked, we'll assist with selecting the best seats. We will also track alternative flight availability for better routings. And through our association with two exceptional Virtuoso travel agents, we can also help arrange hotels, ground transportation and tours in any country. Special airline preferences, wishes or desires? We will respond to all inquiries within 24 hours, and usually a lot faster. There is no obligation unless we can meet your award parameters. • The above prices are for basic roundtrip tickets, including tickets with permitted stop-overs and/or returning to a different city from where you departed. • For more complex multi-city or "round-the-world" trips, we will quote a fee in advance. • We do not accept liability for changes beyond our control including but not limited to schedule changes, flight cancellations, airline errors or conduct, labor disputes and work stoppages, war, weather or other Acts of God. We will assist in finding alternative arrangements some of which may or may not be as attractive. We will help with changes necessitated by airline schedule changes at no additional cost. • If you choose to cancel your trip, we will advise on the options and airline fees for redeposit of your miles. • If your plans change after booking including changing dates on an existing booking, we can assist with a new itinerary for a nominal fee. • If you change travel dates and destination, we would charge as if it was a new trip.